APRACA Secretary General was invited at the inaugural session of the International programme on ‘Skill Development of Trainers in the area of promotion and financing Self Help Groups and Joint Liability Groups for Financial Inclusion of Rural Poor’. 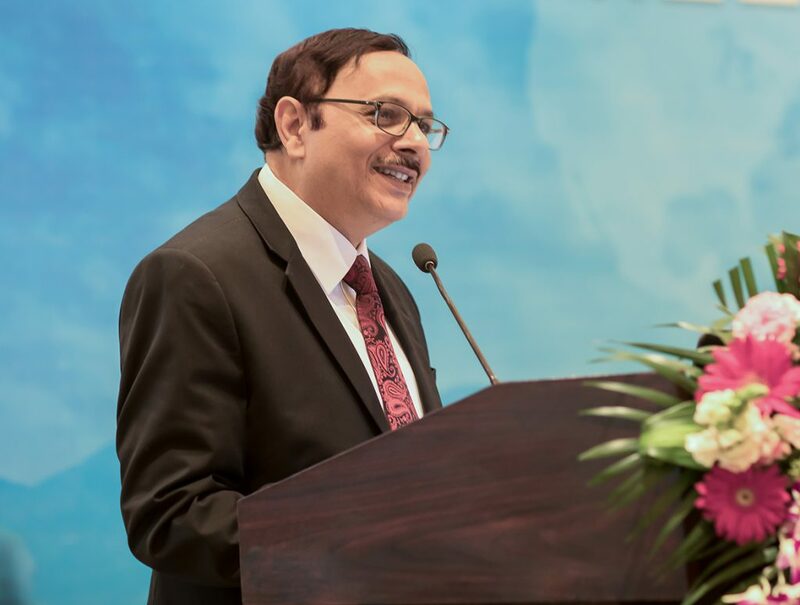 This programme was organized by Bankers Institute of Rural Development (BIRD) during 8-11 January 2018 at Lucknow, India in collaboration with Centre for International Cooperation and Training in Agriculture Banking (CICTAB) under Sponsorship of National Bank for Agriculture and Rural Development (NABARD) and Asia-Pacific Rural Agriculture Credit Association (APRACA). The programme was attended by 20 participants from 6 countries from South and Southeast Asia (Bangladesh, Nepal, Sri Lanka, Cambodia and Lao PDR). APRACA Center of Excellence –NABARD (ACE-NABARD) with a specific objective of linkage banking was officially inaugurated at the campus of BIRD, Lucknow, India on 8 January 2018 by Mr. H R Dave, Deputy Managing Director, Mr. G R Chintala, CGM NABARD, Dr. D V Deshpande, Director, BIRD in presence of the APRACA Secretary General and other dignitaries namely the Chief General Manager, Reserve Bank of India, Lucknow; Convener of Uttar Pradesh State Level Banker’s Committee and Chairman of Uttar Pradesh Regional Rural Bank. The inauguration ceremony was also covered by print media as a new initiative which will bring regional experiences in to the learning. The IFAD supervision mission team visited APRACA Secretariat during 22-26 January 2018 to assess the progress of IFAD regional grant project ‘RuFBeP’. The mission team was highly satisfied with the progress of the RuFBeP project and suggested few amendments in the process to improve the impact of the project. Based on the observations and the suggestions of the mission team, APRACA sent a request for extension of the project closure to complete some of the important assignments which need some more time for improving its quality. IFAD management under the recommendation of the supervision mission team was kind enough to extend the closure of the project by another 6 months. 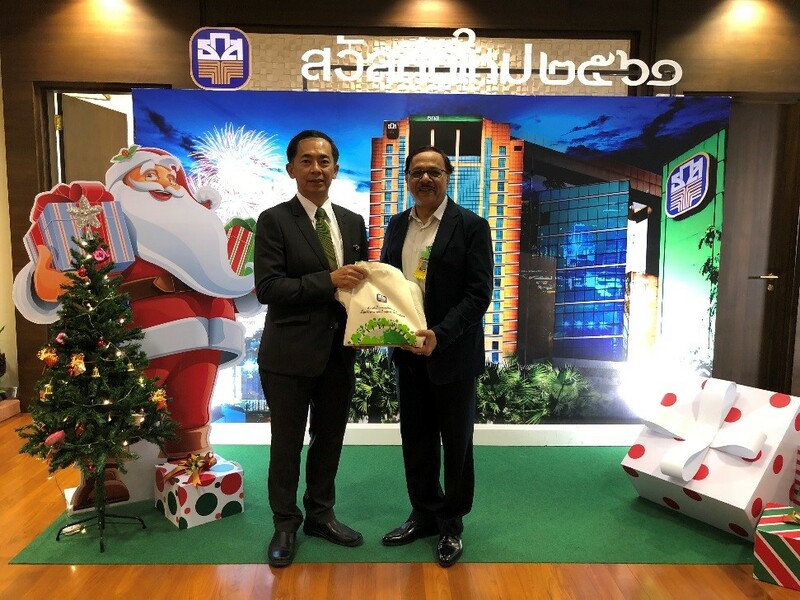 APRACA Secretary General was accompanied by staff members of the Secretariat during the courtesy visit to the head office of Bank for Agriculture and Agricultural Cooperatives (BAAC) on 23 January 2018 and met Mr. Apirom Sukprasert, President of BAAC who extended warm welcome to APRACA team. The President, BAAC emphasized for greater cooperation with APRACA in days to come. He also requested APRACA to support BAAC on documentation of some extraordinary work done by the bank in the field of agricultural finance. 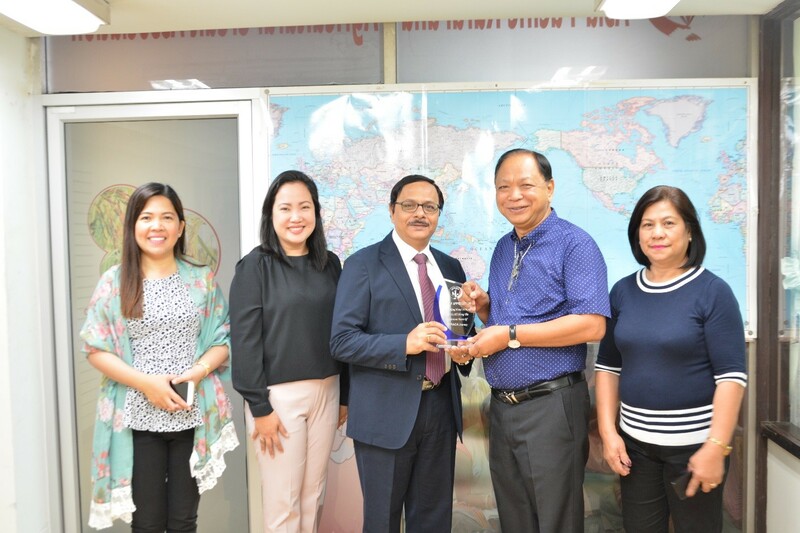 The Secretary General, APRACA met Mr. Rolando Victoria, President and CEO of Alalay Sa Kaunlaran Inc. (ASKI), Philippines during his visit to APRACA Secretariat, Bangkok on 5 February 2018. He was accompanied by the Directors of Microfinance Training. Mr. Rolando assured more close interaction with APRACA in near future and assured his continuous support to APRACA activities. Mr. Gopinath Mainali Secretary, Ministry of Cooperative and Poverty Alleviation, Government of Nepal paid a short visit to APRACA Secretariat, Bangkok during the visit of his team of 7 officials in Thailand from 17 to 20 February 2018. Mr. Mainali was extremely happy with this exposure visit and recommended that they will send more batches of officials from his department for deeper study on the cooperative banking and community financial institutions in Thailand. Hon. 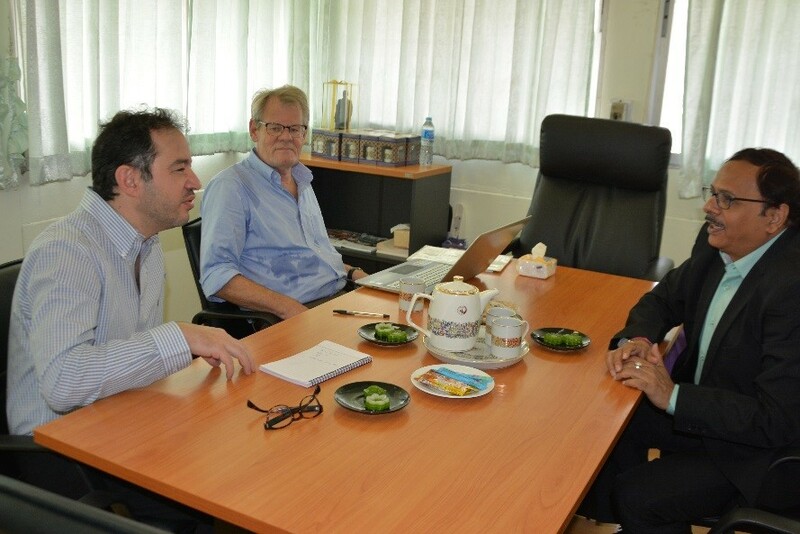 Mr. Lak Wajananawatch, Deputy Minister of Agriculture and Cooperatives Royal Government of Thailand paid a visit to the APRACA Secretariat on 20 February 2018. His visit to APRACA Secretariat is historical as he is the first Deputy Minister rank official visited APRACA office. 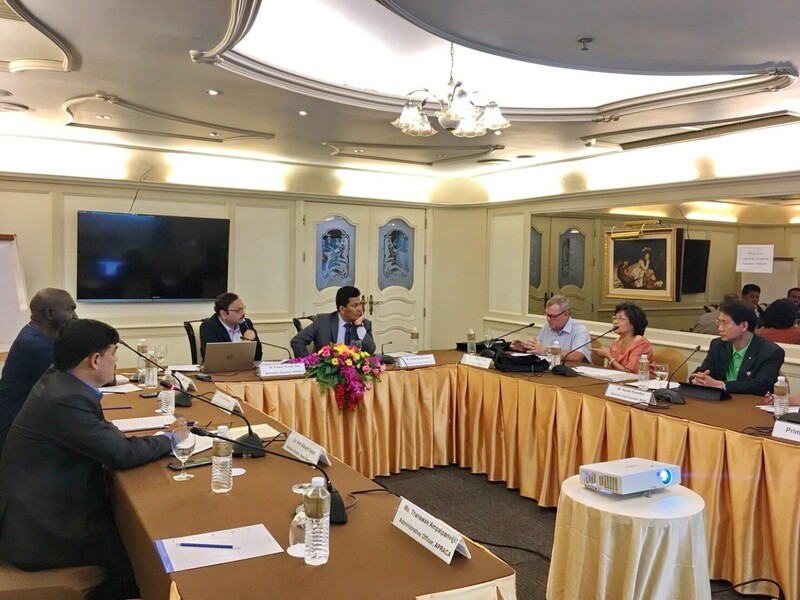 During the discussions with the APRACA Secretary General he emphasized that APRACA should play a greater role in agricultural development in Thailand and other ASEAN countries and suggested some new areas of intervention. APARACA Secretary General accompanied the top management of BAAC to visit and study the activities of the selected community enterprises in Srisakat and Yasothorn provinces of Thailand during 14-15 March 2018. The community enterprises visited in both the places is working on production, processing, packaging and marketing of organic rice and its products. Both the Community enterprises are successful in leveraging the local wisdom of Thai rice farmers and using the latest technological innovations in production of organic rice. The marketing channel adopted by both the community enterprises are excellent choice based on their current knowledge, however could be improved with more professional approach and using the internet platform for marketing. 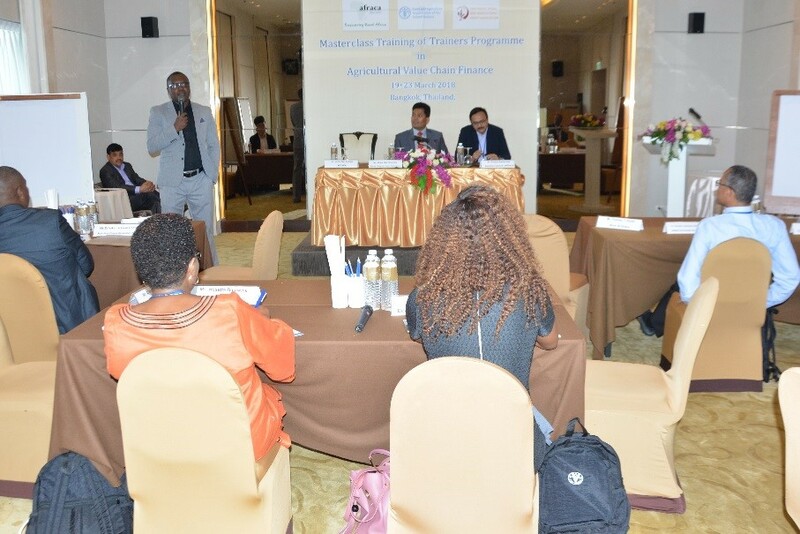 APRACA organized the Master Class training programme on Agricultural Value Chain Finance (AgVCF) in Bangkok during 19-24 March 2018 in collaboration with AFRACA. This course was targeted for the trainers who were already trained during the international training of trainers (ToT) programme organized jointly by AFRACA and FAO during the last 3 years across African continent. The APRACA Secretary General was the lead trainer for this programme. APRACA Secretariat convened the 1st steering committee meeting of the organizing committee of 6th Word Congress on 20 March 2018 in Bangkok. 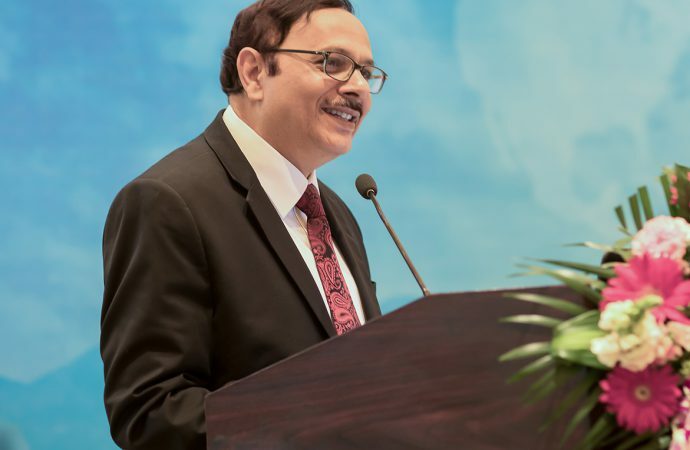 The Chairman of APRACA inaugurated the Steering Committee Meeting and described the importance of World Congress on Rural and Agricultural Finance. APRACA Secretary General with the support of the Secretariat staff conducted the 2 day meeting which was attended by the Secretary Generals of AFRACA and CICA along with the representatives from BAAC and NABARD. 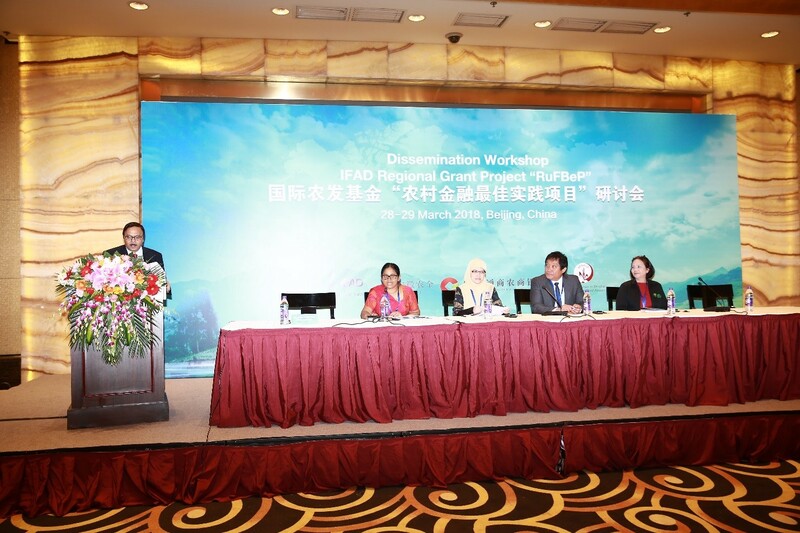 The third (3rd) dissemination workshop related to the IFAD regional grant project ‘RuFBeP’ was held in Beijing during 28-29 March 2018 which was hosted by Huainantongshang Rural Commercial Bank (HRCB) in collaboration with IFAD China Office. The workshop was organized primarily to discuss the final results of piloting of identified good practices in 3 focused countries (Indonesia, China and Philippines), their impact, challenges to scaling up and policy implications on adaptation. The workshop also discussed the possible collaborative efforts of RuFBeP piloting with the IFAD Investment projects in the three target countries and other countries in the Asia-Pacific region. The workshop was attended by 94 high level delegations from 16 countries and represented the National ministries, IFAD, FAO, UNDP, APRACA member institutions, government line departments, regional farmers’ organizations and civil society.